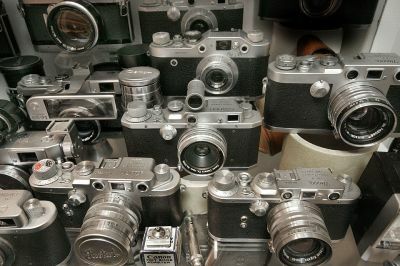 Cameras Downunder Gallery - Leica Cameras & Leica Copies/A shelf of Leica copy's. photo 2. A shelf of Leica copy's. photo 2.